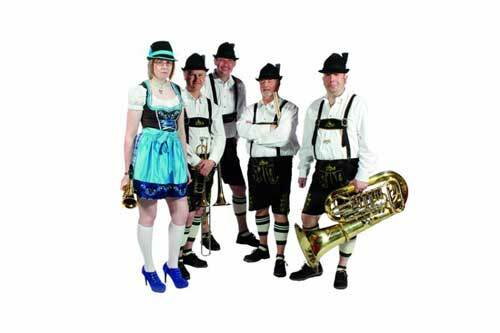 Oktoberfest Themed Oompah Band available for Bavarian, German & Oktoberfest Themed events, weddings, parties & corporate events. 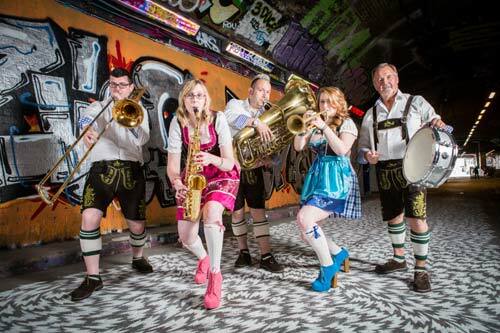 The Bavarian Oompah Band is ideal for beer festivals, product launches, marketing & promotional events, commercial recordings and guest appearances. 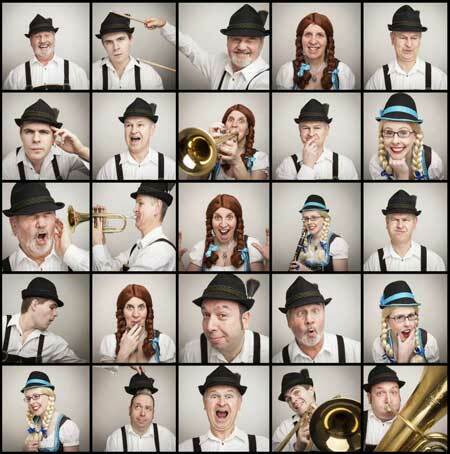 They have had many TV appearances including BBC1’ s ‘The One Show’ and Comic Relief. 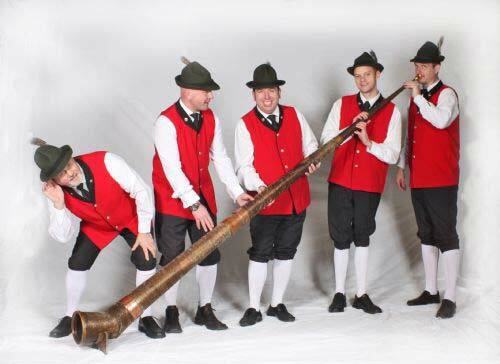 The band always try to be as flexible as possible and will tailor our music and show to your needs and requirements, to make your event as personalized and special to you as possible. We aim to help you make our part within your event as special as possible whilst leaving a great memorable experience for all of your guests or clients. 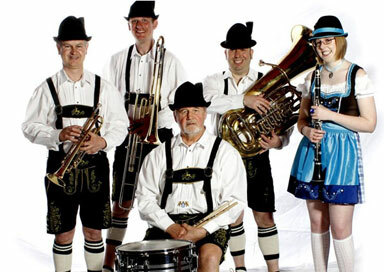 Hear the traditional German and Bavarian Waltzes, Polkas and Marches. 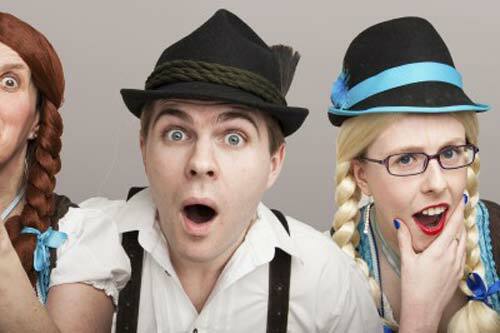 Audience participation is optional but always more than welcome. 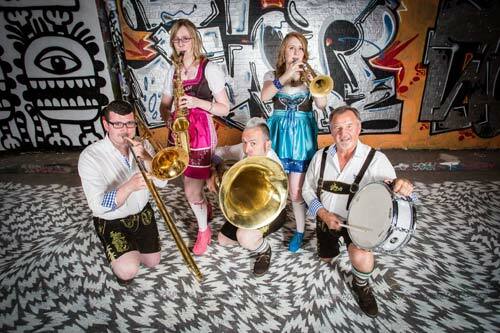 An all-round audience engaging hand clapping, musical evening with traditional German and Bavarian styled tunes. 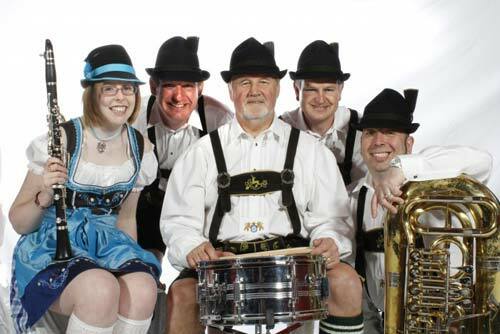 Disco/Euro beat with many big favourites such as ‘Sweet Caroline’ and ‘Country Roads’ all performed with an authentic Bavarian style. 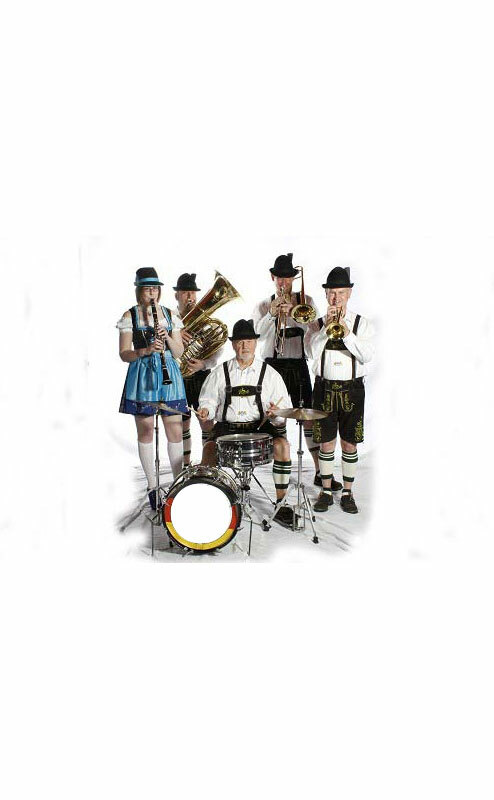 Audience participation with competitions and prizes, drinking games and more Covers: Our authentic Oompah band complete with lederhosen covering many recognisable hits such as Titanium, Come on Eileen, Don’t Stop Me Now, Rockin’ all over the World etc. Ideal for bars, clubs and themed functions.